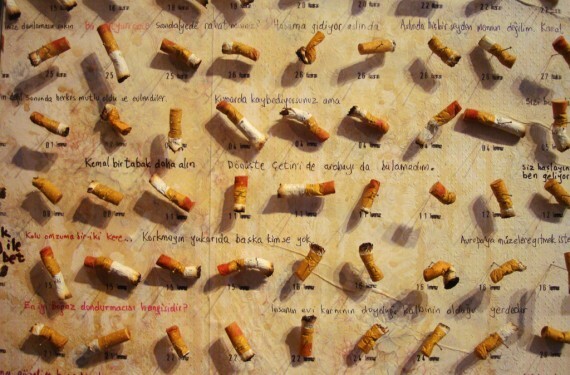 I Me My: Orhan Pamuk's The Museum of Innocence - A Novel Art Form? Orhan Pamuk's The Museum of Innocence - A Novel Art Form? "..why are you making a museum out of what you’ve already written a whole book about? Don’t you believe in the power of words and in readers’ imagination? Don’t you believe in literature?” - A question almost every reader of Orhan Pamuk's novel The Museum of Innocence' would ask of him? 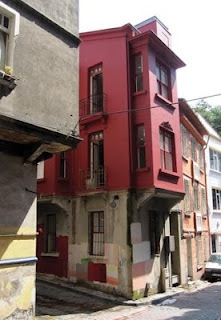 Why did Pamuk feel the need to actually build and create a museum in Istanbul containing all the objects that entwined the story of his novel " The Museum of Innocence", a forbidden romance set in Turkey during the early 70s between the rich aristocrat Kemal and the beautiful but middle class Fusun. Pamuk claims, "the idea of the “Museum of Innocence” was already fully formed in my mind by the late 1990s: to create a novel and a museum." However, what is intriguing is that like other artists starting on a new piece, Pamuk did not have any fledgling idea/story to tell, and that he was depending on random objects, most of which he had collected in the 90s from fleamarkets in the then seedy locations of Beyoglu and Cihangir, to inspire and propel a storyline for a new novel! That is apparently how the 2008 novel "Museum of Innocence" came to be. I am somewhat reluctantly disappointed by the novel and annoyingly piqued by Mr. Pamuk's explanation for the construction of the museum in Istanbul. My feeling this way may be attributed to the fact that I have a great deal of respect for the writer Orhan Pamuk, and that I had so thoroughly enjoyed his last novel, 'Snow'. Having published his novel in 2008, Mr. Pamuk in 2012 inaugurated 'the' "Museum of Innocence" housed in a '19th-century house on a quiet street in the Cukurcuma neighborhood'! The whole project cost him, about $1.5 million, almost the amount that the Nobel Prize on his earlier writing had gotten him. Agreed that artists are by nature quirky, but this extension of the novel into a living museum 'of people' is an altruism hard to palate. Perhaps he wished to be the maverick having fashioned a museum almost as a sequel to his novel, but he refutes that saying “ it’s not that I wrote a novel that turned out to be successful and then I thought of a museum. No, I conceived the novel and the museum together.” Apparently, he 'went shopping first, or .. took, from friends who still conserved them- old furniture, miscellaneous paperwork, insurance papers, various documents, bank statements, and, of course photographs for (his)my museum and.. novel...and wrote my (his) book based on all these things bought and acquired.' 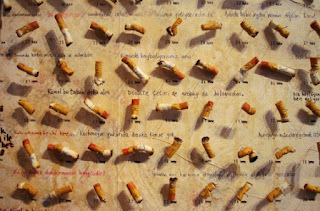 That rings true somewhat because in the novel Kemal and Fusun's love story does build upon and is stored within inanimate objects such as cigarette butts, an earring, photographs, an expensive leather bag, a matchbox.,; things that Kemal has either presented to Fusun, or has stolen from Fusun's home. The question then arises is whether Mr. Pamuk's novel is 'art', that which is inspired, or merely a 'contrived' piece of writing that needs selling. Orhan Pamuk wanted to make a mark, and he did, but whether the mark has made an impact on his readers, or whether it will on generations to come, leaves to be seen. I'd also be curious to know how many visitors the museum has had so far, and whether some of the visitors were readers of his novel, since the novel has a free admission ticket to the museum. Also, how much is the admission ticket to this museum, and is the museum a non-profit venture given that it is a 'people's museum'? Not meaning to undermine an artist's vision, but Orhan Pamuk's museum appears to be an after thought, a last ditch effort to get publicity for his novel. What I forgot to mention was that I had had a copy of the novel since 2009, but after reading the first few chapters of the 87 chapters that the book has, I set it aside to read at a later time. 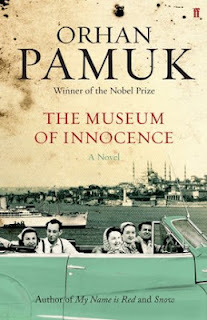 Were it not for the announcement of Mr. Pamuk inaugurating his one of a kind museum in Istanbul, of the same name as his novel, the Museum of Innocence would have sat on my book shelf for posterity; I would never have gone back to reading Pamuk's novel. This is packed with ideas. Tis hard to decide which one I want to comment on. The 'disappearing artist' mention got me to find Anita Desai though. Who or what is this disappearing artist?